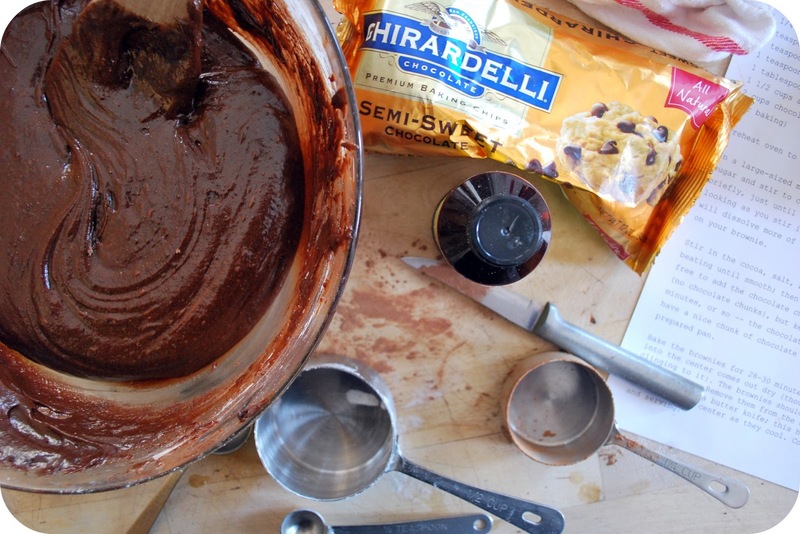 First off, trust me--these are the best brownie you will ever bake. 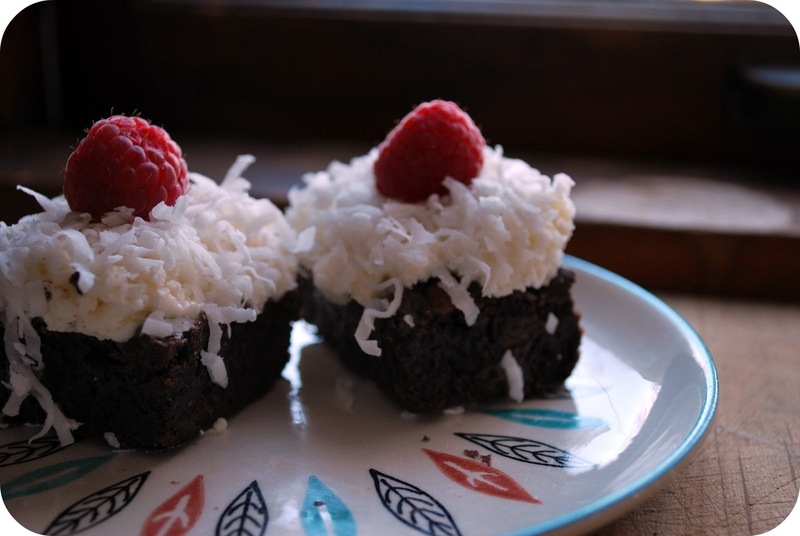 I picked up the recipe from Bliss recently and made an excuse to bake some and was almost down on my knees with gratitude that I had finally found the one brownie recipe I could go to for the rest of my days. My search was done. And what is so great about these is that they mix up and are in the oven in about 20 minutes flat--and all in one bowl, thank you very much. I followed the recipe pretty much as outlined with the exception that I mixed half of the chocolate chips (1 cup) in right away before baking, and then added the second half (1 cup) of the chips about 15 minutes into baking. 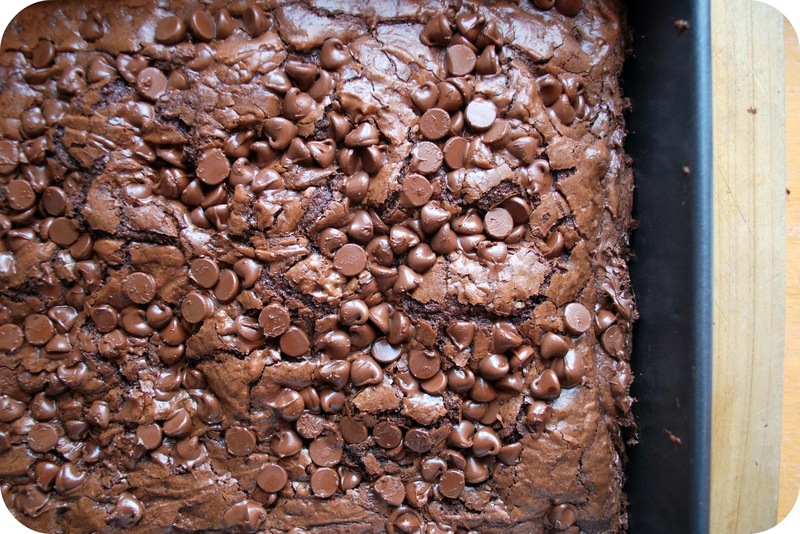 But it gets better--these brownies are both fudgey and cakey and have that lovely crackly crust on the top that makes your teeth squeal with pleasure when they sink into one. Oh, and then I decided to just put these completely over the top by adding some cream cheese frosting heavily sprinkled with shredded coconut and topped each square with one bright lush raspberry (used Ina's frosting recipe--but you need only make about 1/4 of the recipe for this purpose). 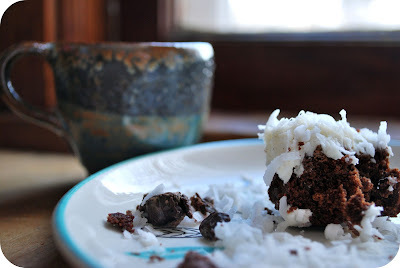 I was thinking about Hostess Sno Balls when I added that coconut--but don't let that scare you. 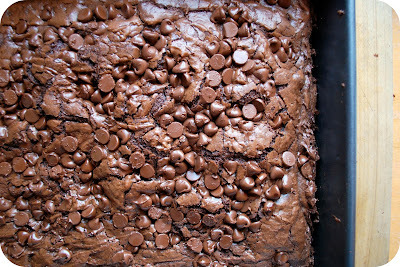 And do you want to know what is even better yet about these brownies? These look soooooo gooood! I included your recipe in my Weekend Links post today - now that the Girl Scout cookies are all gone I could definitely use some brownies! We actually have made a batch twice in the past week--shared some with friends at a party who ate every last one so then we had to make more for us to enjoy at home...just as delicious the second time around.